Uncertainty looms large over the overcrowded deer park located on the premises of Berhampur University with efforts being made to shift it to Gajapati district. 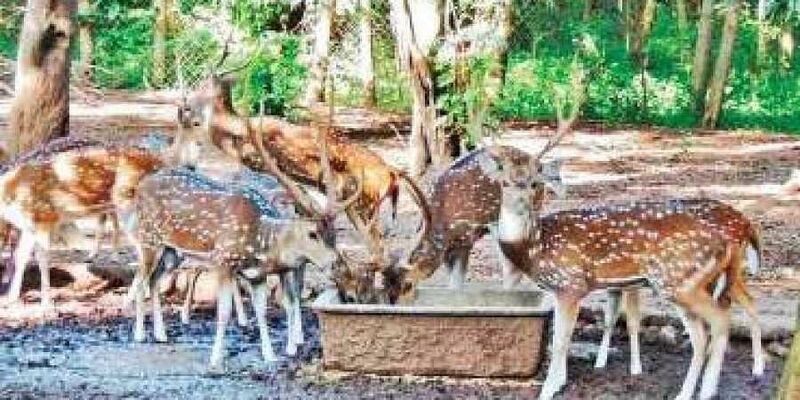 BERHAMPUR: Uncertainty looms large over the overcrowded deer park located on the premises of Berhampur University with efforts being made to shift it to Gajapati district.A notification has been issued by Central Zoo Authority (CZA) to close the park, established in 1989 and spread over 2.2 acre of land. The park, which has over 60 deer, much beyond its capacity, was accorded the status of mini zoo in 2009. However, it was later revoked as the university failed to follow certain guidelines. The university had applied for zoo licence with a recommendation by chief wildlife warden. The district administration too came to its rescue and decided to develop the park as a tourist spot at a cost of Rs 33 lakh.However, the university’s application was cancelled by CZA which stated that setting up of a deer park required a minimum of five hectares of land. Besides, it said the park lacks experienced staff to look after the animals. In 2013, the university authorities had requested the Forest department for taking over the management of the park citing shortage of funds. Since the Forest department had proposed to set up a reserve forest at Bhallery near Narayani temple, the university and State Higher Education department had sought the intervention of Principal Chief Conservator of Forests to shift deer to Bhallery. The Forest department had sought Rs 20 lakh to shift deer. Accordingly, BU authorities deposited Rs 10 lakh but the shifting never took place. According to Berhampur DFO Ashis Behera, it was decided to shift deer to a reserve forest near Paralakhemundi recently. However, the process was delayed due to lack of adequate number of vehicles to carry the animals. He said order has been placed for two vehicles to complete the shifting process.